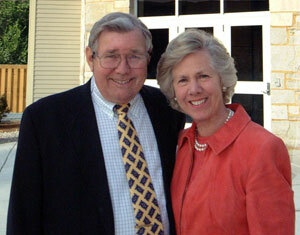 Barry and Wendy Rowland have been great supporters of education in Vermont for many years. They became deeply invested in the future of education at Burr and Burton Academy by giving the largest donation to the school's endowment in its 180-year history, and the largest gift to a secondary school in the state. Barry Rowland was chief administrative officer for Eaton Vance, a Boston money management firm, for more than 30 years. His father bought a vacation home in Vermont in 1951 and Barry and Wendy have been residents of Londonderry for over 20 years. The Rowland Foundation enables Wendy to continue to support secondary schools throughout Vermont. Sadly, Barry Rowland passed away in 2018.